Leidschendam-Voorburg is located in the Netherlands, southwest of Amsterdam, close to the Hague. The Romans are believed to have established a civil settlement in the West of the Netherlands, what was to become the origins of Voorburg. The eldest mention of the name of Voorburg is on a list of goods of the diocese of Utrecht between 777 and 866. Voorburg was dependent upon the city of Delft for a long time. The number of inhabitants was only 1,600 in 1812 and grew slowly to 7,198 in 1920. In the nineties, the population grew to 40,000. 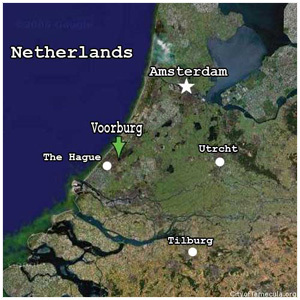 TSCA established our first Sister City relationship with Leidschendam-Voorburg, located in The Netherlands in 1993. 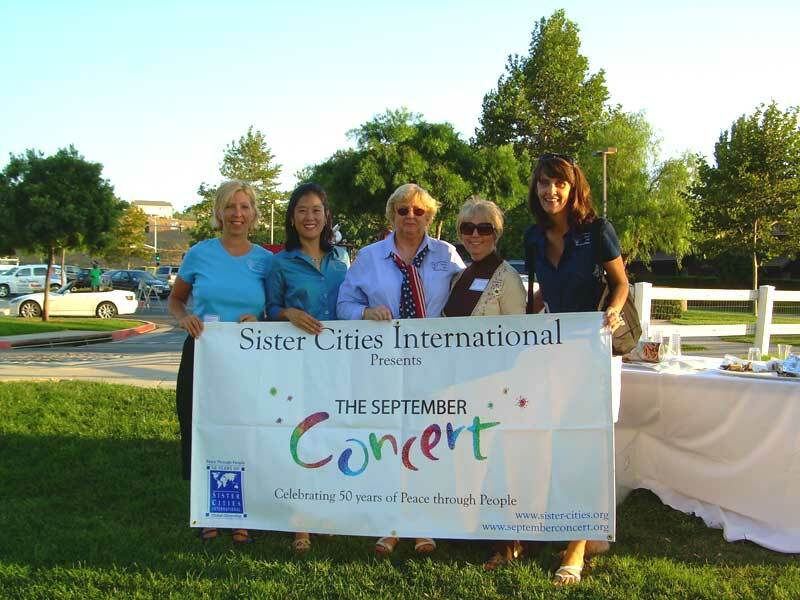 Since then, we have had number of exchanges between students and staff in Temecula and Dalton School in Voorburg and law enforcement personnel between the two communities. In honor of Temecula's relationship with Voorburg, we have a special place in Temecula named "Voorburg Park." Plus, Voorburg created and baptized a long stemmed yellow tulip named "City of Temecula." They grow all over Voorburg and especially around its city hall. Daisen Town (formerly known as Nakayama)is located on the southwest coast on the island nation of Japan, in the Tottori prefecture. The new Town of Daisen was formed in 2005 by the merging of three smaller towns: Daisen, Nawa, and Nakayama. There's plenty to do in the Daisen area with its golf course and river fishing. Daisen annual events include an annual cycling race during the first week of October. After the race, the community has a barbeque. On May 4, the day before "Children's Day," men and boys dress in samurai clothes and there's a display of ancient guns and archery. 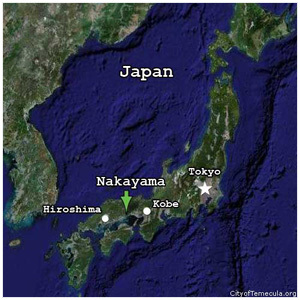 Visitors can't go to Japan without experiencing the hot springs, one of which is located in Nakayama. People visit the Nakayama Hot Springs to boost their health and spirits. No Japanese town is complete without temples, shrines and statues. One of its two temples, the Taikyu Temple, built in 1357 is known for its wall, which is made from dirt. It has a famous hiking path with 33 statues. A memorial statue is erected to commemorate the Emperor of Japan, who had a vacation home in Nakayama in 1333. Daisen has a lovely park with Tanka Haiku (poems) etched in rocks. Farmers grow Asian pears, broccoli and produce delicious beef. Not only does Daisen have beautiful cherry blossoms but it also has its own flower, the Hamanasu, with its radiant fuscia color. There have been several successful exchanges between the students and business leaders of Daisen and those of Temecula.